BCHN is partnering with the Fordham Business Improvement District (BID), NYC Department of Health & Mental Hygiene (DOHMH) and SBH Health System on a free community "Opioid Addiction" event today at 6:00 PM. 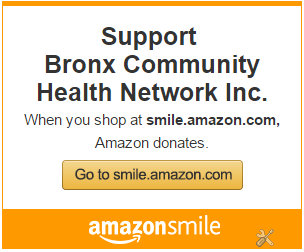 The New York Times recently reported, "Perhaps nowhere in the city has the trajectory of opioid addiction been as complex as in the Bronx, where overdose deaths were declining until a new surge began at the turn of the decade, and where more residents are lost to overdoses than anywhere else in the city." 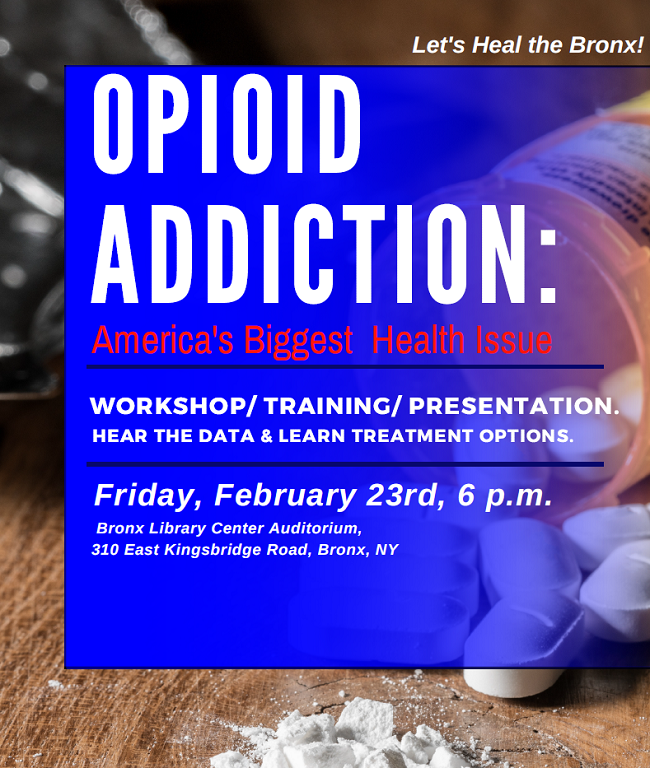 The Fordham Road area has recently been declared a flare-up zone due to a rise in opioid overdoses, so please help us spread the word about tonight's event. Audience: The event is free and open to community members. The auditorium can hold about 150 attendees. 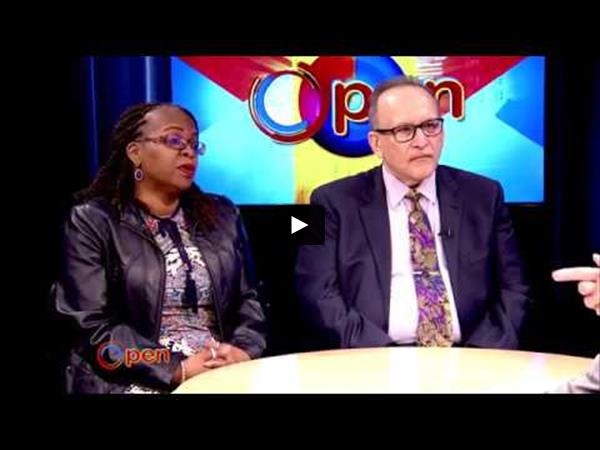 BCHN Board of Directors members John Ruiz and Marjorie A. Cadogon joined host Bob Lee on the February 12 episode of OPEN on BronxNet to discuss the importance of funding for community health centers. There are some 10,500 community health centers and satellites across the United States. They provide quality, affordable, and accessible primary health care to more than 27 million people, including approximately 330,000 veterans and 1.2 million homeless people, in almost 10,000 rural and urban communities. Care is provided regardless of the client's race, religion, orientation, gender identity, immigration status or ability to pay. 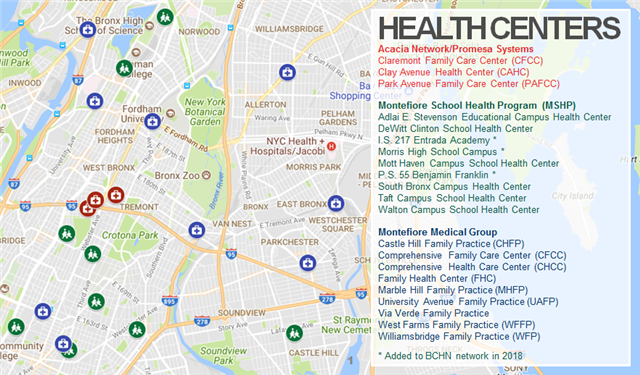 In New York State, 1 in 9 people (2.2 million) receive care at a community health center. Find out more in the informative OPEN interview below. GOOD NEWS! On February 9th, 19 weeks after the funding expired, Congress passed a $400 billion, two-year bipartisan budget deal that included $7.8 billion for community health centers around the country. 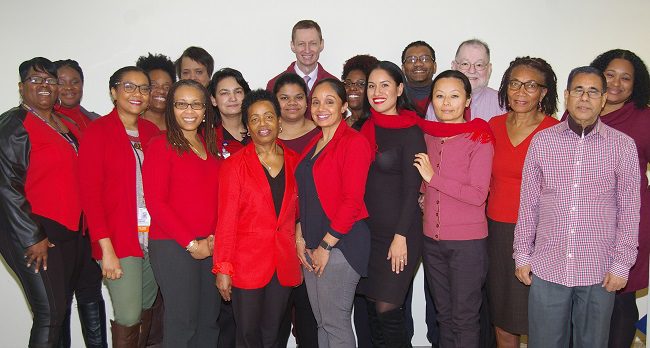 BCHN staff members went red for National Wear Red Day on February 2 to raise awareness about cardiovascular disease. Chances are we all know someone affected by heart disease and stroke, because about 2,200 Americans die of cardiovascular disease each day. That’s in average of one death every 40 seconds. But together we can change that. Cardiovascular diseases, which includes stroke, claim the lives of about one woman every 80 seconds unnecessarily -- because about 80 percent of cardiovascular diseases may be preventable with education and lifestyle changes. 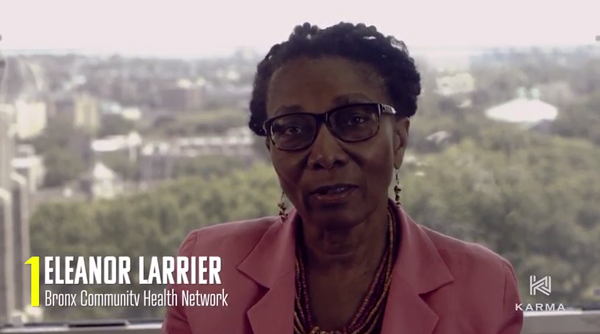 Back in July, a production crew from The Karma Network visited BCHN to record an interview with chief executive officer Eleanor Larrier for their new series, 1Number. 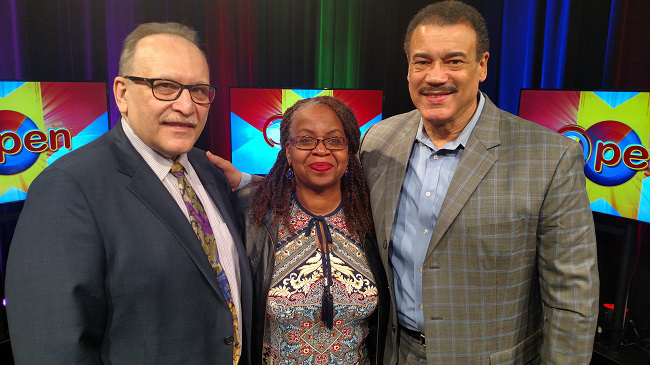 The recently released episode breaks down 57.5%, the high school graduation rate in the Bronx. Poor attendance contributes to that number, and asthma is highlighted as a factor in children missing school. Ms. Larrier explains a key reason the Bronx has a high asthmatic rate: the highways that traverse the borough. "In most of the other boroughs the highways don't cut across the landscape," she says. 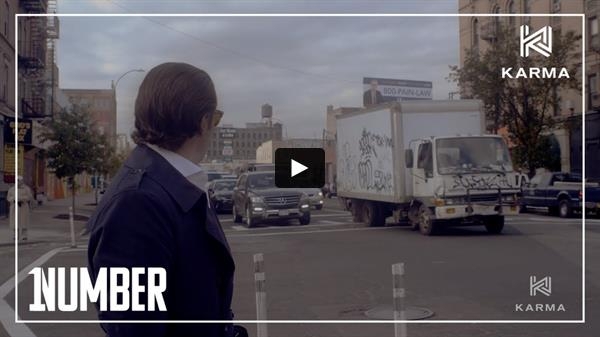 "In the Bronx, you have big trucks delivering goods to other places, and they go through the Bronx." 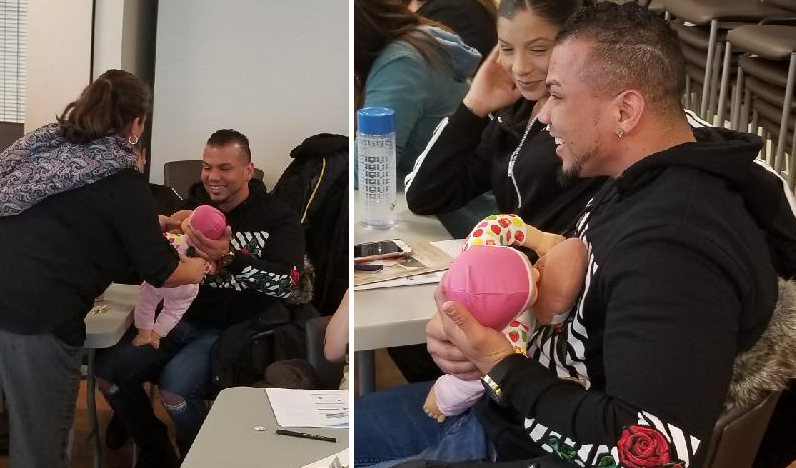 BCHN partnered with The Bronx Health Link on tw0 Healthy Start workshops at Family Heath Center on January 25 and January 30. New mothers and soon-to-be mothers were educated on breastfeeding and safe sleep, along with maternal mental health. Pictured above, a prospective new father in attendance participated in a breastfeeding demonstration.